How clever! 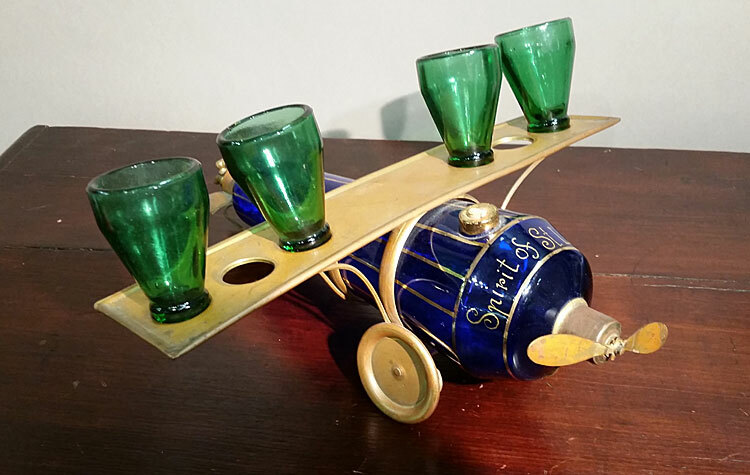 The wings hold the shot glasses, and there is a spigot on the front for pouring your drinks. Highlighted in gold, with metal wings and wheels. The green shot glasses are colorful replacements. 13" square. Circa late 1920s.